Ki-tei technically not a kata. This specific form is used in the competition event of Fukugo, alternating advancing rounds of this form and kumite matches. The winner advances to the next round. Loser drops out. The final match is always a kumite match. 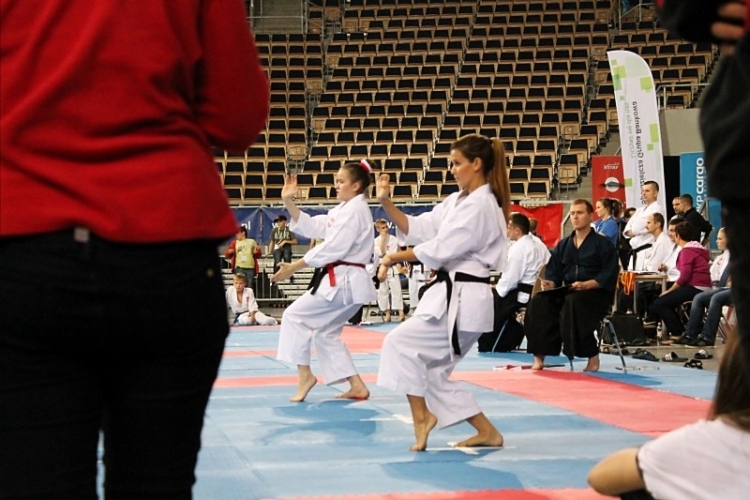 Idea of the event is to encourage a well rounded karateka. Originally this newly introduced/ invented form was to change every other year. The ITKF technical committee was to develop a new “ki-tei” every other year. This new ki-tei was to be introduced at the ITKF World Championships (held every other year). Competitors would then have the chance to view for the first time at the championships. They would then have two years to prepare for the next World Championships. A fantastic concept. I was fortunate again to be one of the experiment rabbits for the development of this form. One day I was ready to cross the street to go to Central. Sensei was already there (and in gi), which was not usually the case. From across the street I noticed him practicing, which I had never seen, he was at the jump in the form. He soon noticed me and finished up. I new something was up just didn’t know what. He introduced the form to us at Central. We practiced it over a period of time. Sensei over this period of time changed it here and there. Then after a period of time (weeks or months maybe) it was finalized. He introduced it officially at that years ITKF International Summer Camp. A form of Fukugo is also represented in determining a winner in the ITKF World Cup Championships. Ki-tei is part of the compitition. At ITKF World Cup the (ITKF World Cup is held every other year, in between ITKF World Championships, which is held everyother year.) 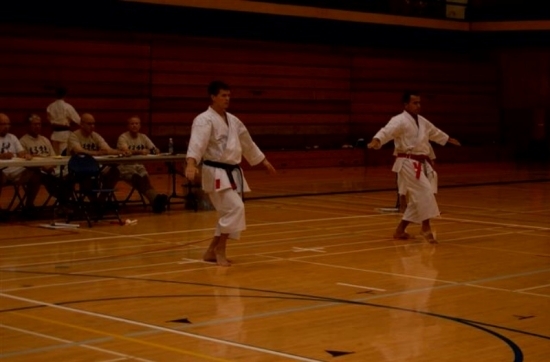 8 selected athletes must perform Kata, Ki-tei, and Kumite in determining a winner. Again the development of a well rounded karateka.